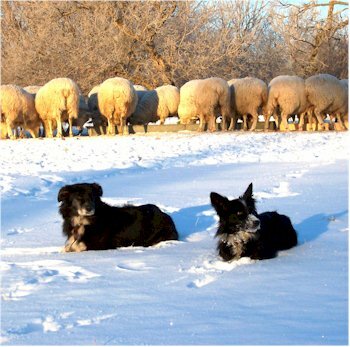 Seine river Shepherds is a family run sheep operation located 30 minutes east of Winnipeg near Ste. Anne, Manitoba. Our commercial flock of 200 ewes is bred to maximize market lamb production for our freezer lamb and auction trade and provide excellent wool for our value-added wool business. Our breeding program goes back to 1984 with the purchase of our first Purebred Finn Landrace ewes. We used the national Record of Performance (ROP) and then Ovissy as the main selection tool for our early flock. 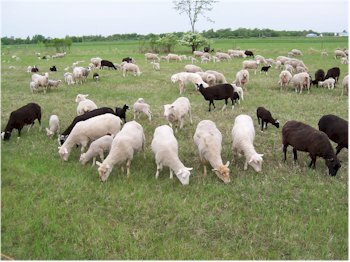 Ewe prolificacy has always been one of our most important selection criteria. We combined this with the kgs of lamb weaned in selecting our replacement ewes. We use Purebred, F1 and cross bred rams in our breeding program. For the 2006 lamb crop we used both pure-bred Isle de France rams and Isle de France X Rideau Arcott rams. Flock health is one of the most important investments a shepherd can make. It saves time and money in treatment as well as lowering the risk of serious economic loss from disease outbreak. We bring our off farm genetics in from a single farm in Alberta. They have a closed flock with a AA health status. Other then that our flock has been closed since 1991. We follow an annual vaccination and parasite control program. Each year we select ewe lambs and good ewes for our breeding stock sale. Initial selection is done by physical check for conformation and health. This is followed by a review of the ewes’ records. 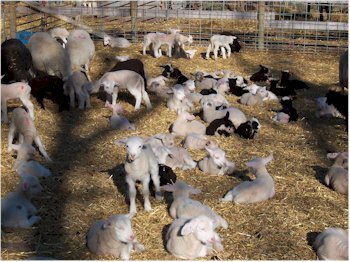 Ewe lambs are May born and should be expected to lamb at one year of age. This is another of our selection criteria. We also have a selection of rams and ram lambs for sale.